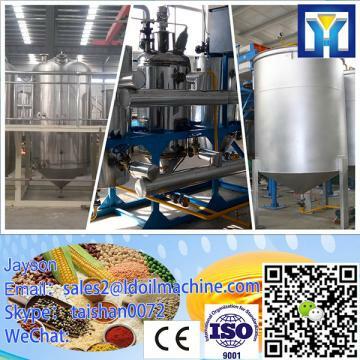 Buy High quality low price sunflower oil hydraulic plate and frame filter press - Shandong Microwave Machinery Co.,Ltd. High quality low price sunflower oil hydraulic plate and frame filter press from Shandong Microwave Machinery Co.,Ltd. Shandong Microwave Machinery Co.,Ltd. independent research and development production of High quality low price sunflower oil hydraulic plate and frame filter press for many years, Shandong Microwave Machinery Co.,Ltd. providing a dedicated oil press palm fruit, palm fruit thresher, sterilization pot palm fruit, palm kernel oil press, palm mashed machines. The High quality low price sunflower oil hydraulic plate and frame filter press which designed and produced by shandong microwave machinery co.,ltd. research institute,High quality low price sunflower oil hydraulic plate and frame filter press is suitable for 3-15 hectares small farm or processing with supplied materials from outside for individual household, economic and practical, cost recovery soon,Shandong Microwave Machinery Co.,Ltd. very welcome by customers in Africa and South America. Shandong Microwave Machinery Co.,Ltd.is a oil press and complete oil equipment factory specializing in the production of High quality low price sunflower oil hydraulic plate and frame filter press, scientific research,manufacturing,installation, commissioning.Shandong Microwave Machinery Co.,Ltd.can provide oil press and complete oil equipmentcustomers with design and services of 1-2000 tons High quality low price sunflower oil hydraulic plate and frame filter press. Shandong Microwave Machinery Co.,Ltd. have finished hundreds of successful projects oil press and complete oil equipmentover the years: peanut oil, soybean oil, rapeseed oil, cottonseed oil, sunflower oil, sesame oil, animal oil,grape seed oil, acer truncatum oil, peony seed oil, walnut oil, hemp seed oil, pine oil, tea seed oil, papaya oil, milk thistle seed, and other special type oil press and complete oil equipmentoil. Shandong Microwave Machinery Co.,Ltd. have independent import and export department. Shandong Microwave Machinery Co.,Ltd. oil press and complete oil equipmentequipment has been successfully exported to more than ten countries: Russia, Australia, India, Afghanistan, Cameroon,and so on.